World number one Novak Djokovic awaits Bernard Tomic in the second round of the ATP Miami Open, while Canadian sensation Felix Auger-Aliassime also progressed. 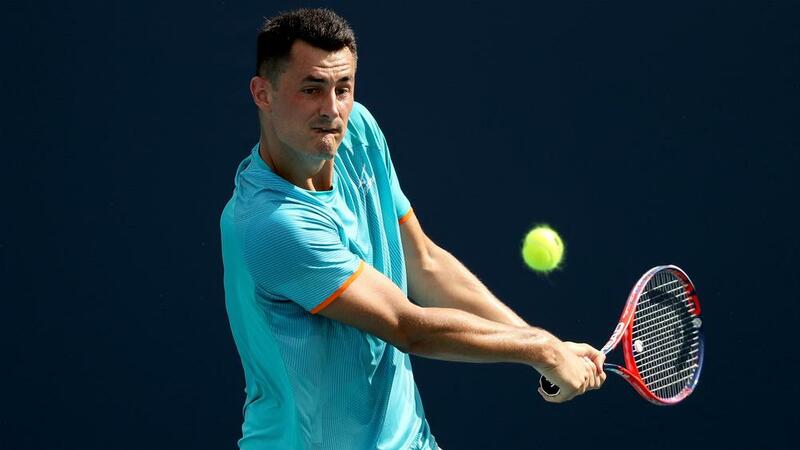 Australian Tomic saw off Thiago Monteiro in straight sets to advance at the ATP Masters 1000 event in Miami on Thursday. Auger-Aliassime was impressive again as he got past Casper Ruud in his opening-round match, which went the distance. Spanish veteran David Ferrer, meanwhile, showed he still has plenty of fight left after eliminating Sam Querrey with retirement on the horizon. Tomic will face top seed and six-time Miami champion Djokovic following his 6-4 6-1 victory over Monteiro. Touted as the future of Australian tennis, former world number 17 Tomic was due to face Tomas Berdych in the first round before the Czech withdrew. Monteiro stepped in and Tomic made light work of the Brazilian qualifier, with Djokovic awaiting the world number 81. Meanwhile, Radu Albot secured a showdown with fourth seed Roger Federer after Matthew Ebden retired. The 18 year-old came from a set down to top Ruud 3-6 6-1 6-2. Auger-Aliassime stunned Stefanos Tsitsipas en route to a third-round appearance at the Indian Wells Masters. He produced another impressive display as he rallied past his Norwegian opponent to set up a match against 29th seed Marton Fucsovics. The 36 year-old will retire in two months but he is not done just yet. Ferrer – featuring in his 17th and final Miami Open – accounted for American Querrey 6-3 6-2 in just 74 minutes. "I enjoyed it a lot. It's Miami, a lot of people have supported me all these years. For me, it's a great experience to play in this new stadium," Ferrer said. "I'm really happy because I played really good... I am doing my goal, and my goal is to be competitive." Next up is German second seed Alexander Zverev.